Outdoor Patio Furniture Replace or Restore? 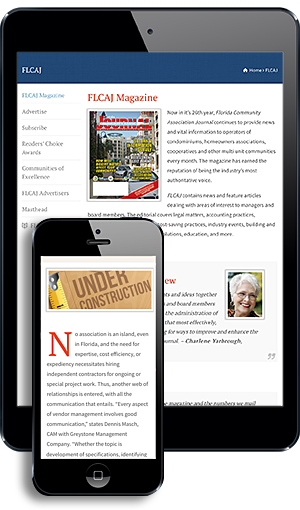 In South Florida, there is an interesting, dual effect that the common person doesn’t think of when they hear the words “patio furniture.” As many South Florida community associations and property managers can attest to, their patio is very important to their communities, and it is often viewed as an extra room—a place for hosting parties, informal meals, or even lounging and kicking back to enjoy some sun. The problem with South Florida is that the weather is particularly hard on the furniture. The combination of the sun, humidity, and, in some cases, sand and salt for beachfront properties, can wear out the furniture and wreak havoc. This is where the dual effect is shown: patio furniture that is so common and essential to communities/condominiums resides in the very location that can be the most taxing on the furniture. It is for the aforementioned reason that furniture restoration becomes an essential part of property management. Whenever outdoor furniture faces the sun’s wrath, or becomes merely outdated and is no longer the preferred style, communities usually think that they have to buy new furniture. Many communities are unaware that restoring their existing patio furniture is not only a feasible job, but it can also offer many benefits along the way. This restoration is a green process, which saves money and also helps save the environment. Not only is this process green, but it’s also very cost effective and allows a unique opportunity to customize a community’s restoration and handpick from a large selection of metal finishes, fabrics, and color schemes. This selection includes hundreds of colors, patterns, and fabrics for slings, straps, and cushions, which allows a community association or property manager to select something they feel will fit with their already established décor, effectively creating an overall coordinated and polished look. The flexibility of powder coating makes it a great choice for any metal restoration project. Powder coating is an advanced method of applying a decorative and protective finish to a wide range of materials and products. The powder used for the process is a mixture of finely ground particles of pigment (color) and resin (protective finish), which is sprayed onto the surface to be coated. The materials to be coated are electronically grounded to attract the charged particles that adhere to the surface. After being heated in a curing oven, the powder fuses into a durable and protective coating. The result is a uniform, high quality, and attractive finish. 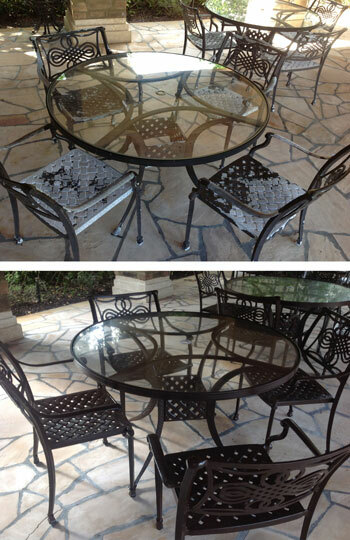 Powder coating is extremely beneficial when applied to outdoor furniture because of its excellent exterior performance. The restoration process involves completely stripping off the old, dull finish by sandblasting with aluminum oxide. The metal surface is then pretreated with a five stage chemical pretreatment process. This properly prepares the patio furniture for the powder coating application. The powder is sprayed onto the metal surface of the furniture that is then baked in an industrial oven to cure the powder to a beautiful, long-lasting, final finish. Since all of the furniture that we restore is in South Florida, the most corrosive environment in the world, an additional epoxy powder primer coat is added. This provides an extra layer of corrosion protection, which is very rarely found on an original coating. Once the powder coating process is completed, the new straps or sling materials are installed along with any protective foot glides to protect flooring. As you can see from the photos, the complete restoration process—involving sandblasting, chemical pretreatment of the base metal, and applying a durable, baked-on powder coat finish—can be quite amazing. Save money and time— no shipping, disposal, or replacement costs of your old furniture. Tammy Leeman is the Director of Business Development for Absolute Patio Furniture Restoration, which is a division of Absolute Powder Coating in Pompano Beach and offers full restoration of old patio furniture, which includes refinishing of frames, sling replacement, strap replacement, and custom cushions. 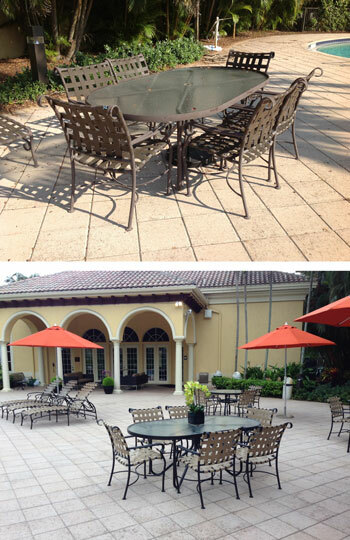 Leeman is in charge of all estimates for patio furniture restoration for condominiums, country clubs, and communities. Additionally, she works closely with property managers and HOAs on color schemes and selections for either metal frames or for fabric options. Contact her at tammy@absolutepowdercoat.com or call (954) 917-2715.